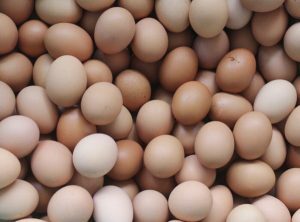 Rose Acre Farms, one of the largest egg producers in the country, is responsible for a major outbreak of salmonella and a recall of over 200 million eggs. According to the CDC, the potentially tainted Eggs were distributed between January 11-April 20th under a variety of brand names listed by the FDA. In response to the recall, inspections conducted by the FDA cite heavy rodent infestation, unsanitary conditions and poor safety practices by employees. Representatives of Rose Acre Farms have publicly stated that they take food safety seriously. However, they did nothing to implement any safety procedures after disturbing inspection reports dating back to last September cited live and dead rodents throughout the farm, employees handling food without gloves and equipment covered with food, dirt and debris. Maybe if they would have taken it seriously, this outbreak wouldn’t have occurred. Eggs produced at Rose Acre are distributed to restaurants and food outlets all over the US, however, the majority of illnesses have been reported in NY and Virginia. If you have or even think you may possibly have a contaminated carton THROW IT OUT!